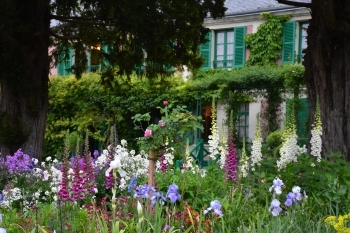 Monet’ house at Giverny, mid-May. Click to enlarge. Some flower names sound really strange, like foxgloves. 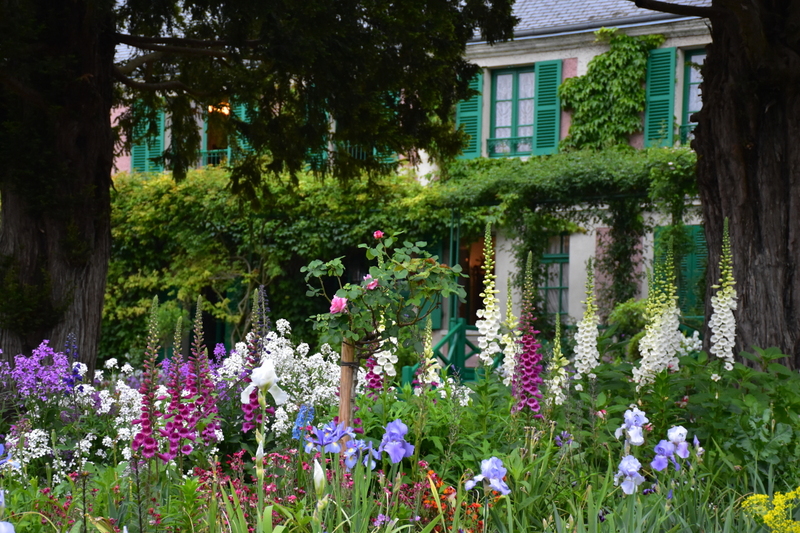 These tall and beautiful flowers (also called digitalis) photographed here at the top of the main alley in Claude Monet’s flower garden like the shade of the two old yews. Under the dark branches, they feel at home, as if they had just escaped from a wood. They thrive in the forests of Normandy, wherever the soil is acidic enough.